The issues dogging central bankers are many as they meet this week for an annual symposium at Jackson Hole, Wyo. And each of the key players has their own points of focus. This Economic Policy Symposium is hosted by the Federal Reserve Bank of Kansas City, one of the regional units that make up the U.S. central bank. The event is a potential feast for investors as it features policy-makers from around the globe. Ten years after the financial crisis, this year’s symposium comes amid several recent flashpoints, from troubles in Turkey and fears over other emerging markets to the Trump administration’s escalating trade battles. The agenda isn’t final yet, but Federal Reserve chair Jerome Powell speaks Friday, and Bank of Canada Governor Stephen Poloz on Saturday. It begins Thursday. “I will also be very interested to hear from the [European Central Bank] and the [Bank of England], considering that both central banks have monetary policy meetings on Sept. 13, and both are facing a difficult landscape,” Ms. Lee said. The Fed's issues are unique as it sets a faster pace than others to get back to something approaching normal. “With the Federal Reserve the only central bank on an aggressive tightening cycle, the rise in the U.S. dollar is likely to pose significant challenges for U.S. policy-makers in the coming months,” CMC Markets chief analyst Michael Hewson said. Mario Draghi’s ECB is juggling priorities as it winds down its asset-buying stimulus program, but Bank of Montreal’s Ms. Lee doesn’t expect a rate hike for another year. Markets will watch Jackson Hole for what to expect at the next ECB meeting Sept. 13. "The ECB already announced plans to taper its asset purchases starting in Q4, and end the program this year, while rates will stay at current levels ‘through the summer of 2019,’ " Ms. Lee said. The unique issue facing BoE Governor Mark Carney, previously of the Bank of Canada, is Brexit. Plans to leave the European Union are in a critical phase. Mr. Carney recently raised rates, and some observers speculate there could be another increase before the year is out, although Ms. Lee believes the central bank won’t do anything until next May. Mr. Poloz is dealing with a lot at this point: Determining how earlier rate hikes are affecting consumers, how Canadians are adjusting to measures to cool housing and consumer debt markets, and how negotiations to remake the North American free-trade agreement will play out. There's also the issue of inflation, which, as Statistics Canada reported Friday, hit 3 per cent in July, its fastest pace in about seven years. That’s well above the central bank’s target of 2 per cent, although its preferred measures of inflation are stable. 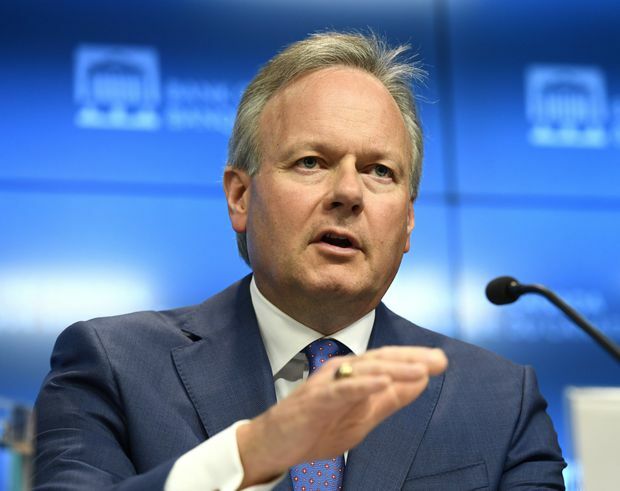 While the Canadian dollar rose after Friday's inflation report, on speculation of a faster timeline for rate hikes, some economists are sticking to their projection for the next increase in October. All eyes will be on currencies and commodities – and stocks, of course – after the ups and downs of last week. The Turkish lira, which collapsed amid the troubles, managed to rebound late last week, so we'll see what a new week brings. Negotiators from Beijing are in Washington for further talks with U.S. trade officials, just a couple of days before the next round of American tariffs come into force. Royal Bank of Canada kicks off third-quarter earnings season for Canadian banks. Mr. Aiken also expects RBC, Canadian Imperial Bank of Commerce, Bank of Nova Scotia and Canadian Western Bank to raise their dividends. Also on tap are the release of minutes from the most recent Fed meeting, and Statscan’s monthly report on retail sales, which economists generally expect will show a drop of 0.2 per cent to 0.4 per cent for June. CIBC reports quarterly results, as do CannaRoyalty Corp. and Alibaba Group Holdings Inc.
Before markets focus on the Fed’s Mr. Powell, they’ll be watching for the latest report on consumer prices in Japan, which Capital Economics expects to show a rise in annual inflation to 1.1 per cent from June’s 0.7 per cent. “This will probably mark the peak, as crude oil prices have started to soften in recent weeks,” Capital Economics' Marcel Thieliant said.